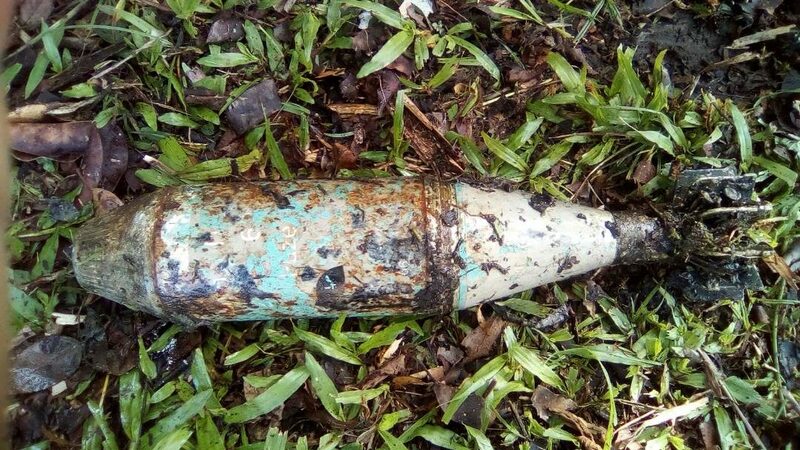 SARIKEI: A bomb believed to be from the World War II-era which was still active was found in the village of Ulu Kedup Jalan Agriculture near here by a farmer on Sunday evening. Sarikei district police chief, Supt Awang Arfian Awang Bujang said the bomb, measuring 43.18 centimetres (cm) long with a circumference of 35.56cm and weighing between one and two kilogrammes, was found covered in rust. According to him, when found, there were still red and black wires connected to the body of the bomb. He said the 55-year-old who lived in the area had found the bomb while cleaning up the river after a bridge repair work near the location where the bomb was discovered and lodged a police report at 8.15 am yesterday. “A team from the Sarikei IPD Bomb Disposal Unit was dispatched to the site for verification and further action. The bomb was destroyed on Monday afternoon,” he told Bernama. He said this was the second time a bomb had been discovered in the area, the first was discovered last month. “We do not rule out the possibility that there are some more bombs still active and embedded in the ground in the region. Therefore, we ask the public who come across bomb-like objects to immediately report to the police.